DO WE KNOW THIS ? 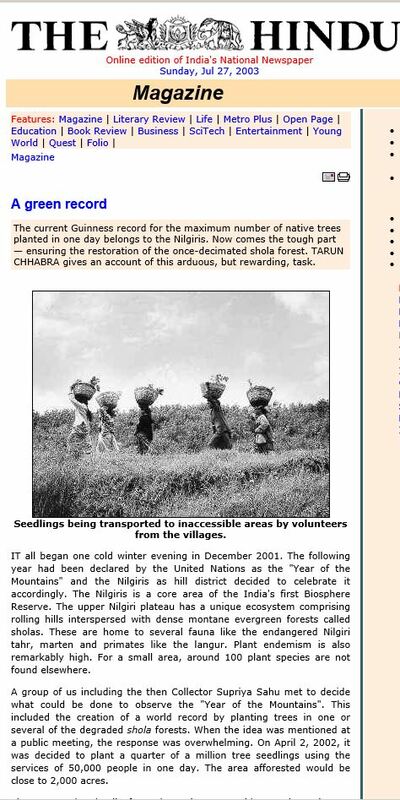 Once “A Guinness World record” for the “maximum number of native trees planted in one day” belongs to the KURUTHUKULLI village, Nilgiris. On the day of June 23, 2002, 300 participants, planted 42,182 trees in just one day.